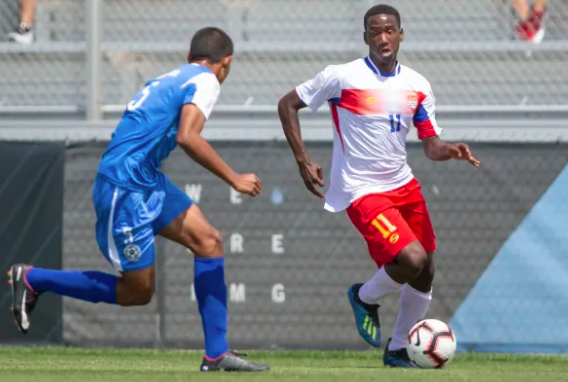 Corey Smith of the Cayman Islands in action against Nicaragua at the CONCACAF U17 Boys Championships. 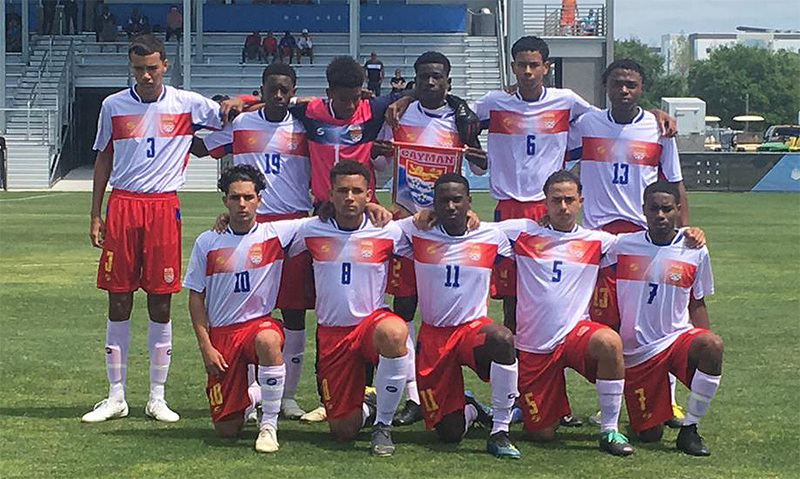 The Cayman Islands Under 17 Boys National Football team suffered their first defeat to Group A favourites Nicaragua 0-3 at the CONCACAF Under 17 Boys Championships qualifying round on Sunday, March 24 at the IMG Academy in Bradenton, Florida. 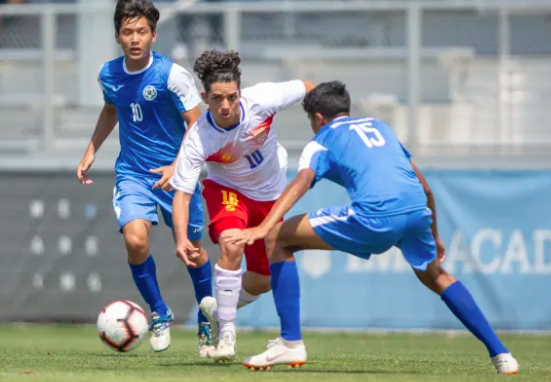 Nicaragua’s victory secured top spot in Group A and a place in the CONCACAF Under 17 Boys Championship final round in May. With the loss, the Cayman Islands finished a very respectable second in the group of five. 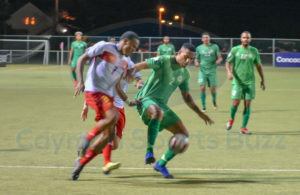 The local boys were under intense pressure from the opening whistle as the Central Americans had to win the game to top the group on points. 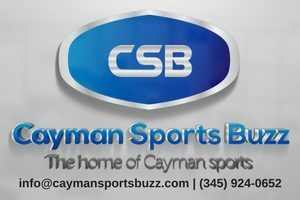 A draw would see the Cayman Islands qualify for the final round. Cayman Islands starters vs Nicaragua. Knowing that a draw would win the group might have played on the minds of the local boys as they encountered wave after wave of Nicaraguan attacks. 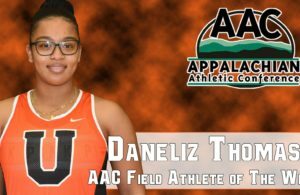 The back line of Daniel Wallace, Luke Byles, Victor Thompson Jr. and D’Shawn Brown coped well with the offensive onslaught and Micah O’Garro in goal was called into action on numerous occasions. 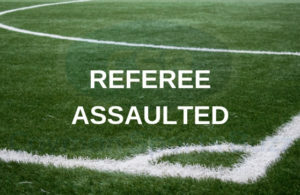 In the 19th minute, Nicaragua took the lead from a corner and five minutes later, the Cayman Islands found themselves down 2-0. Nicaragua continued to pile on the pressure and the local boys were finding it extremely difficult to retain possession. The half time whistle couldn’t have come any sooner for the local boys as a respite was needed and a few changes or tweaks to the system were needed. Jackson Kirkconnell tries to get by a par of Nicaraguan opponents. Gunnar Studenhofft replaced Joshua Small up front at the start of the second half and in the 63rd minute, Kameron Bennett came on for Jahmai Griffiths. With the two changes, the local boys were gathering momentum although Nicaragua were still in control of the game. In the 67th minute, disaster struck as Nicaragua scored their third and final goal. In the 78th minute, Syrus Conolly replaced Corey Smith and it was ‘all or nothing’ for the local boys. Almost immediately, the Nicaraguan goal keeper pulled off two great saves as he stopped an initial shot from Studenhofft and recovered well to block the rebound off the boot of Conolly. It just wasn’t to be for the Cayman Islands as the final whistle sounded. Nicaragua were through to the final round. Following the loss, Coach Bruce Sigsworth said, “We did not impose our style of play on the game and gave away far too much possession. Our back line felt the loss of our starting centre back Caleb (McFarlane), who was injured in the previous game with St. Vincent. To add to this, not enough of the team performed at their best, which was imperative for this game.